While Odisha has half of the world’s Olive Ridley turtle population, 90 per cent of India’s turtle population lives in the state. Despite that no actions have been taken for their conservation. “Since Odisha is home to half of the world’s Olive Ridley turtles, the government should develop some infrastructure near the turtle nesting sites at Devi and Rusikulya rivers, the two major nesting grounds,” said Rabindranath Sahoo, secretary of Rushikulya Sea Turtle Protection Committee. 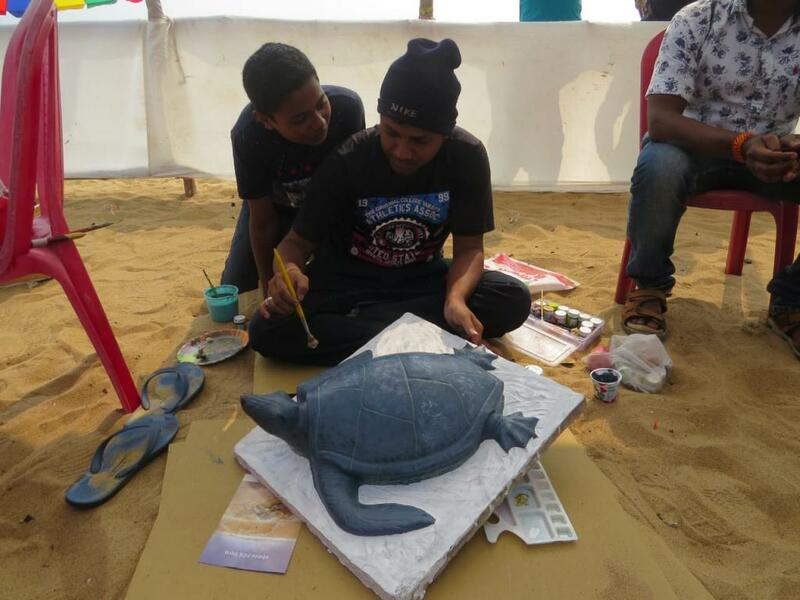 This event, which was aimed at promoting and revering the idea of conserving the vulnerable turtles, was organised by Cox & Kings Foundation, a philanthropic arm the travel company, in partnership with Humane Society International–India (HIS- India) and few local organisations. Olive Ridley turtles have a fascinating life cycle that contributes significantly to the marine ecosystem. The turtles after having travelled from Sri Lanka and Maldives, congregate and mate in waters just off Odisha’s shores at Gahiramatha, Rushikulya, Devi and other areas. The female turtles swim to Odisha coasts after 45-50 days of mating. Each year, around nine lakh turtles arrive at the beaches and lay more than 100 eggs each. After 45 days, the eggs hatch and newborn turtles make their way to the water to join the adults. But, their journey on land and back to the sea is threatened by loss of nesting habitats, depredation of eggs and young ones by other animals, artificial lighting and fishing nets. “Artificial turtle hatcheries constructed by forest officials on nesting grounds to protect the eggs could be used to attract tourists. 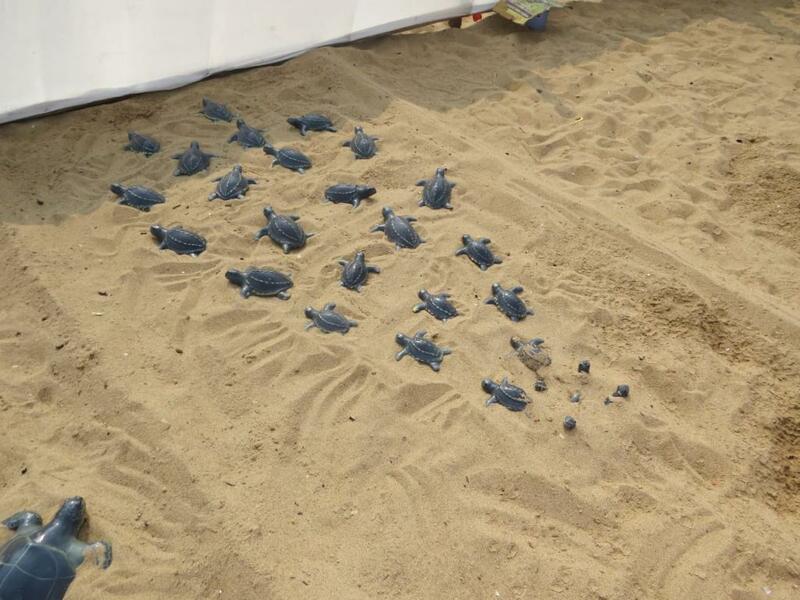 Also, after emergence of hatchlings, the tourists would be able to release the baby turtles,” said Hemant Rout, secretary of Gahiramatha Marine Turtle and Mangrove Conservation Society. Turtles and tourism go together in Australia, Coast Rica, Mexico, Sri Lanka and other countries, where tourists visit beaches to see the turtles by paying hefty amounts. But, Odisha is yet to attract tourists for this. “The conservation project emphasises on empowering the locals as they are the primary stake holders and the only means of sustaining any conservation efforts in the long run. Through this event, we hope more heads from across the country turn towards the work done by the community here, resulting in public pressure that could address some of the major threats to turtles at a policy level,” said Sumanth Bindumadhav, campaign manager (wildlife), HIS-India. Four years back, the state government had announced an eco-tourism project in the rookeries of turtles, but it never took off. States like Goa and Kerala have already launched programmes to woo tourists by keeping few sea turtles in some pens near beaches. This turtle festival could be the first step towards attracting tourists to the state, said Sanghamitra Jena, a tour operator and founder of Eastern Treasure India Tours.